You did it! You screened hundreds of resumes, compared behavioral data and sat through so many interviews you lost count, but it was all worth it. You hired the perfect candidate for the position and now it’s your time to sit back and let them get to work! Well, not exactly… even the most perfect of candidates can end up as another turn-over statistic without a proper onboarding plan and it happens more often than you might expect. In fact, Monster.com reports 30 percent of external new hires turn over within the first two years of employment. Retention statistics from other organizations, including the Society for Human Resources Management (SHRM), show that turnover can be as much as 50 percent in the first 18 months of employment. On the flip side, according to (SHRM), companies with an engaging onboarding program retain 91% of their first-year workers and The Wynhurst Group states that 62% of companies with effective onboarding practices have higher time-to-productivity ratios. Based on these statistics, it’s overwhelmingly clear that effective onboarding programs significantly impact engagement, retention, productivity and more, but what does an effective onboarding plan look like? Unfortunately, the one size fits all approach does not apply here. The most effective onboarding plans are those which are customized to the specific behavioral needs of each new hire. By using behavioral assessment tools, like The Predictive Index® (PI®), organizations can better understand each individuals behavioral needs and avoid the common mistake of trying to fit a square peg into a round hole. When a new employee joins a team, it can take months for the manager and new hire to understand what makes each other tick, but this doesn’t need to be the case. When behavioral data is available both parties can gain insight into each other’s natural workplace behaviors. Providing this transparency helps both sides avoid issues in the future and allows the new hire and manager to understand each other’s perspective from the start. As a new employee, it can be nerve wracking getting to know a whole new team. Providing a new hire with an understanding of the behavioral similarities and differences between themselves and their new team members can help take the guess work out of how to interact and participate in group activities quicker. For example, if a team is primarily made up of very outspoken, social, outgoing individuals (high extraversion) and a new hire tends to be more quiet and introspective (low extraversion), understanding and embracing these differences from the start can help teams communicate more effectively and can often reduce conflict by allowing individuals to understand the differences between what they need and what others require to feel motivated and comfortable. Have you ever been forced to sit through a training that just didn’t resonate with your preferred learning style? If yes, you probably absorbed very little and struggled to make it through the training, right? Unfortunately, the same thing can happen with onboarding if learning preference aren’t taken into consideration while creating each plan. For example, does your new hire have a strong need for rules, process and structure or are they more relaxed, spontaneous and someone who likes to think outside of the box? Depending on their natural behavioral drives, customizing an onboarding program to meet these needs will ultimately lead to greater success and productivity. Will your new employees thrive under pressure, seek out change and seem unphased by tight deadlines or will they require time to process tasks, prefer to handle one thing at a time and become frazzled when tight deadlines are placed upon them? These are questions managers can ask and understand before each employee starts. With this information, managers can better adjust their work style and approach to better match their new employee’s strengths and preferences. 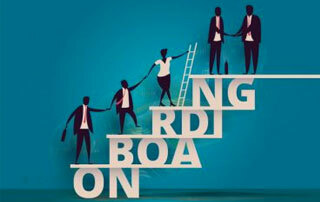 To learn more about how to build an effective onboarding program for your employees, leaders and organization, and the benefits of using The Predictive Index® (PI®) to effectively onboard new hires and more, visit www.mcgpartners.netor contact Erinne Tripp at erinne.tripp@mcgpartners.com. 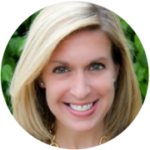 MCG Partners is a woman-owned, consultancy specializing in leadership development, organizational effectiveness, talent management and career transition solutions.